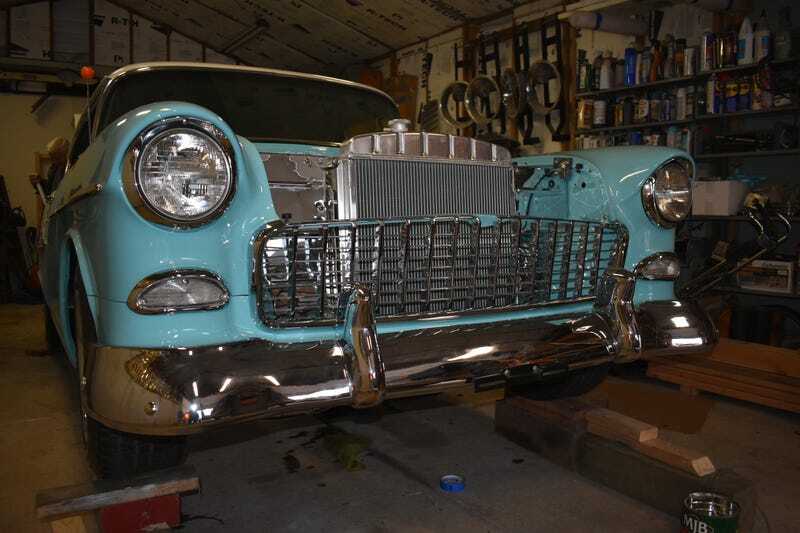 Its been a few month since the last update on the 55 Chevy project, but a lot of progress has been made! The big things have been getting the hardtop “flappers” adjusted and working, getting all the glass and trim on and then reassembling the front end of the car. Currently waiting on new hood hinges to shop up to be able to mount the hood. Interior is the biggest hold up currently with issues in materials not matching and then finding a chrome shop somewhat locally to plate the Bel Air specific headliner bows. Also have gotten the motor fired up but wont stay running and will not idle at all, so troubleshooting that at the moment.